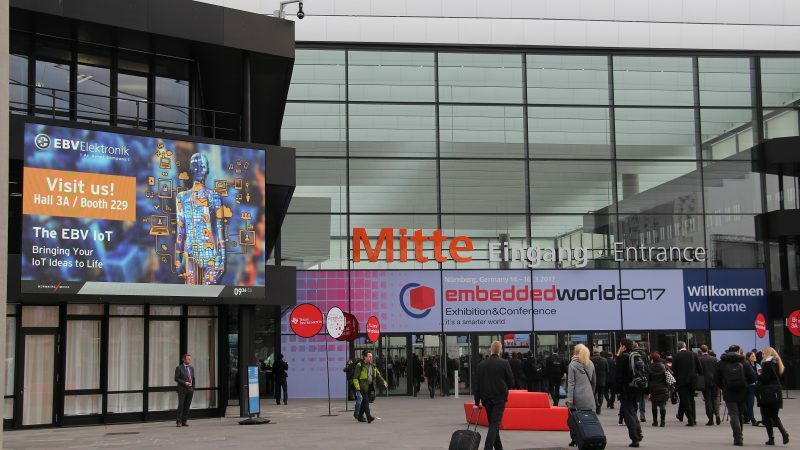 In the wink of an eye the second day of embedded world 2017 was over again. The embedded community gathered our booth, that there were literally not breaks to rest. Not surprisingly, because there is so much to see and time is limited. But it was again great fun to talk to the visitors. Yesterday, two of our manufacturing partners, Broadcom and Maxim Integrated, introduced there workstations in little video clip. Today we were able to record the two other platinum sponsors and suppliers, NXP and STMicroelectronics. 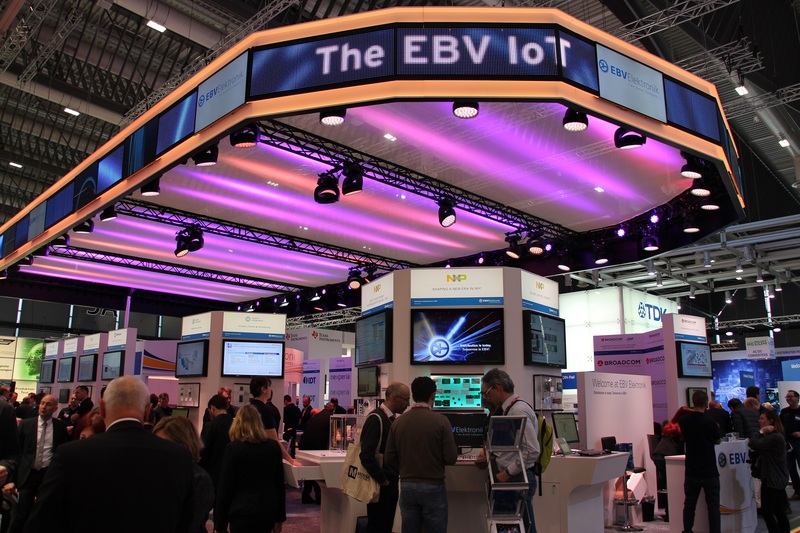 A specialist of NXP explains the main of the workstations on the EBV booth and has some hot product news to share with you. Take a look! With more than 2 billion products in production, the STM32 family is a true success story since 10 years. We showcase the microcontrollers on our booth and show together with our partner from STMicroelectronics the tremendous possibilities STM32 offers. Here we go! Furthermore, a Time-Sensitive-Networking (TSN) demonstrator attracted a lot of visitors today. 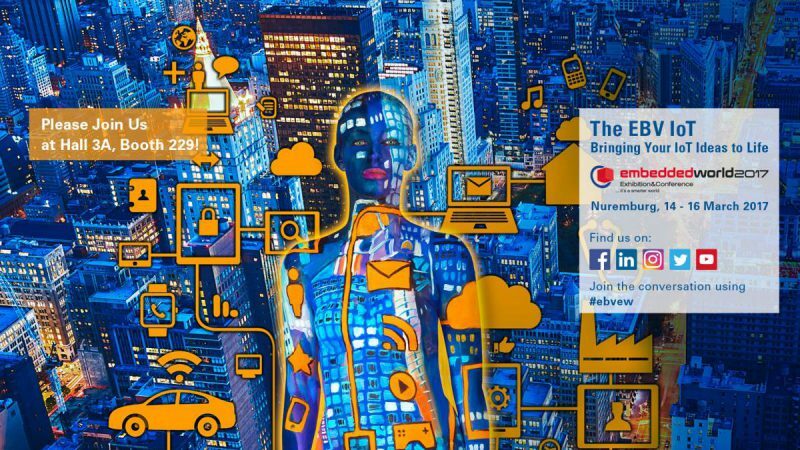 What it is all about can be read in this the article “Safety Over Ethernet – No Problem With IEEE 802.1-TSN”, we published yesterday already on our blog. A group of engineers worked hard to assemble everything. 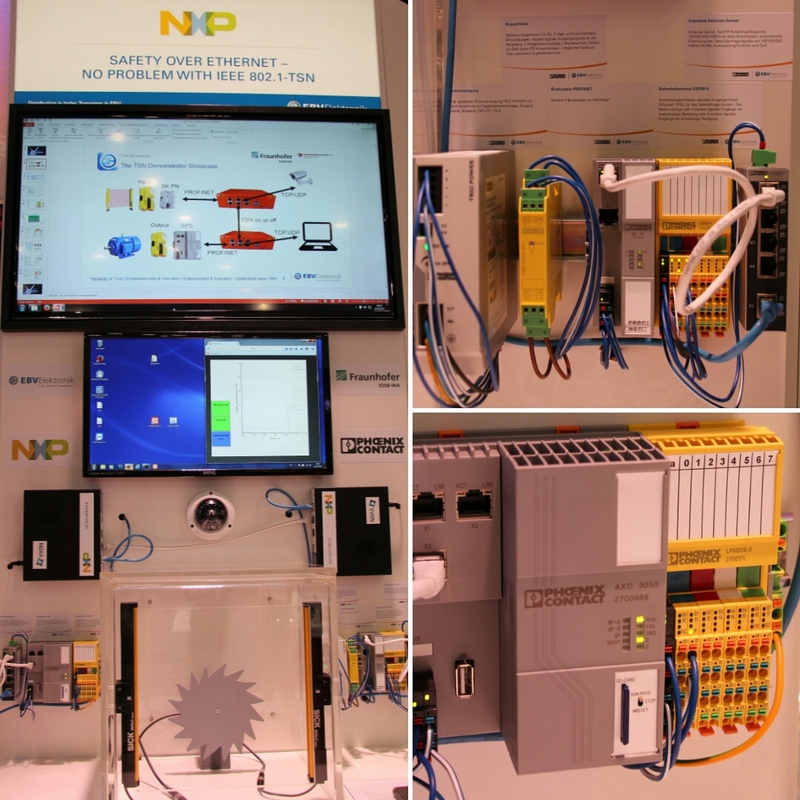 It was a great collaboration between Fraunhofer, Phoenix Contact, NXP and EBV Elektronik. 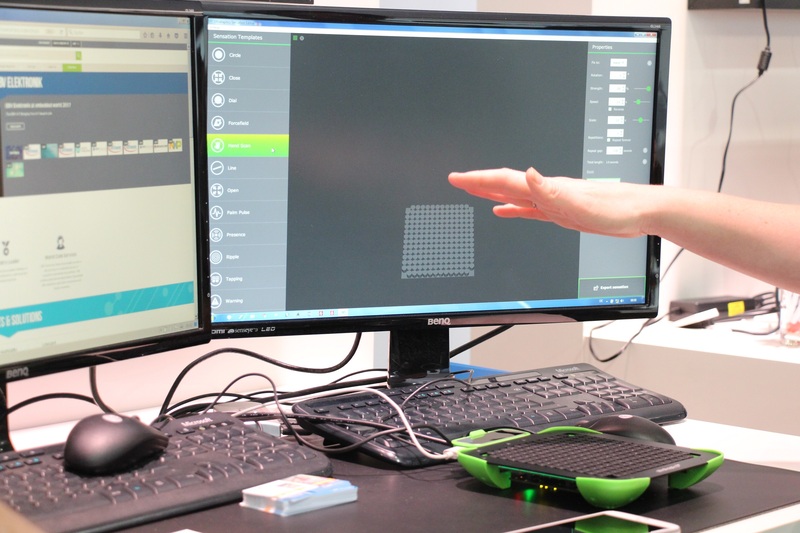 Many more modules and development kits could be seen, such as the Ultrahaptics Touch Development Kit (UHDK5), which allows you to create tactile sensations in free space. 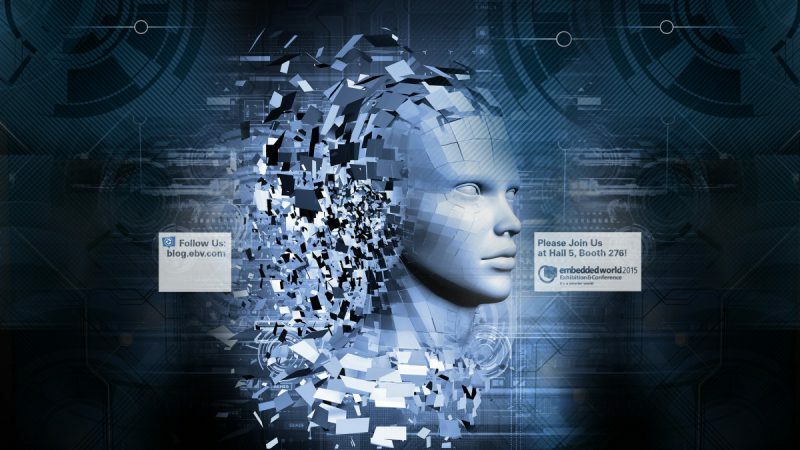 That enables products and devices to communicate with its user through haptic feedback. Read a detailed description of the Ultrahaptics Dev Kit in one of our earlier blog posts. Ultrahaptics is a great example how young companies can develop successfully if they collaborate with the right partners. 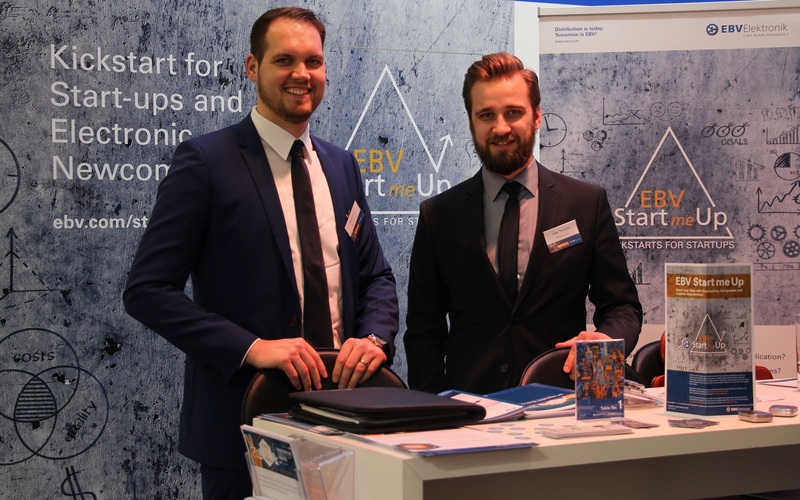 We have the team of your EBV StartMeUp initiative in Nuremberg as well. For start-ups and entrepreneurs, they are the right people to contact if it comes to building up and developing a new business. So if you haven’t had the chance yet to meet them, just stop by tomorrow. 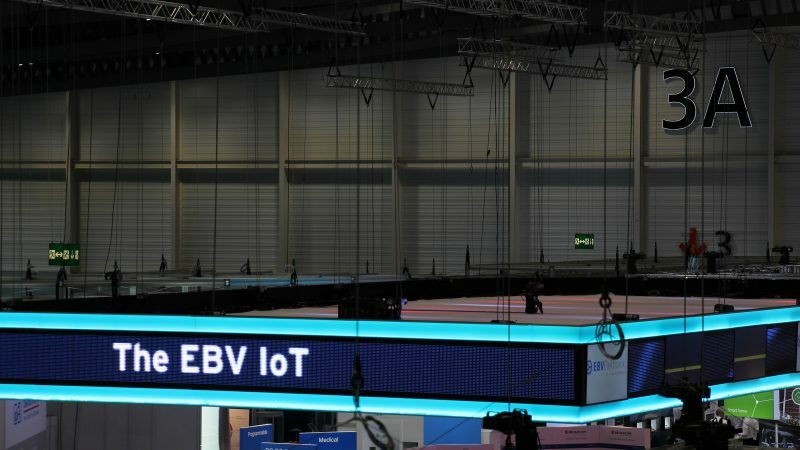 Another exciting day at Embedded World 2017 is coming to an end. Tomorrow will be the last day already. So make sure to stop by on our booth in hall 3A/229. See you then!